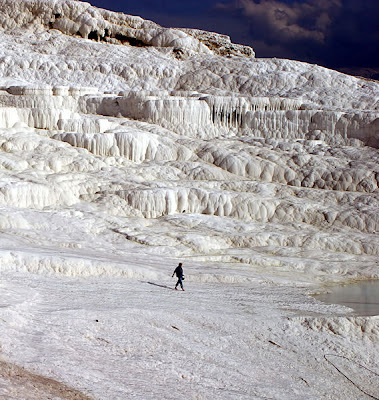 This snow-white, landscape of iced terraced frozen pools and small waterfalls is NOT ICE - it is limestone and travertine. 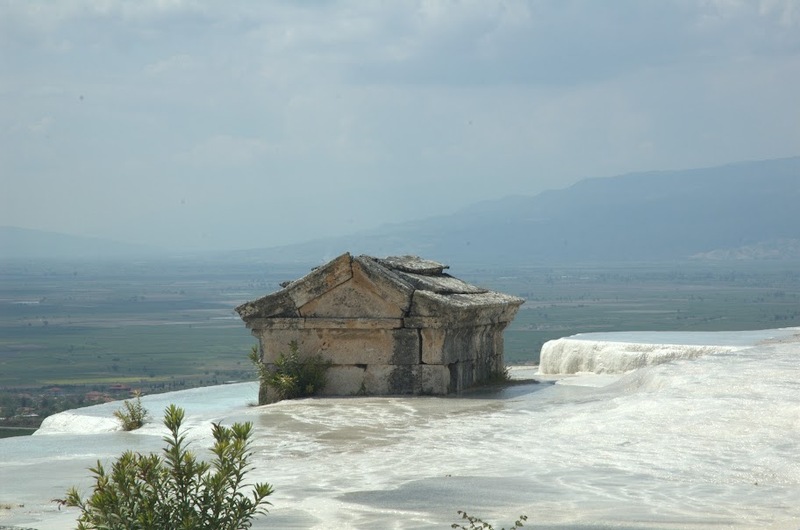 Earthquakes in the area resulted in emergence of a number of very hot springs having large mineral content, calcium bi-carbonate in particular. This has created an awesome and beautiful snow like terrain. 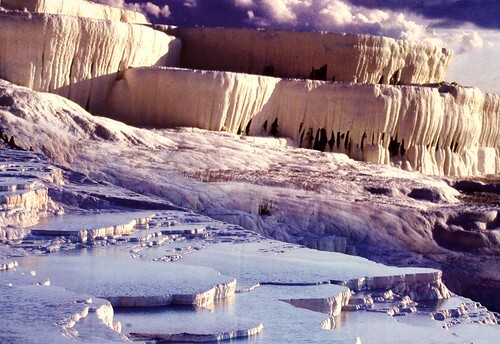 Image from Panoramio is by gatunegru.